The Master of Arts in Criminal Justice prepares students for positions of leadership and responsibility in government organizations/non-profits, dealing with issues of crime, justice and law-enforcement. We also provide advanced training in social science research and methods for students seeking to pursue academic careers. This is achieved through coursework and hands-on experience that emphasize up-to-date knowledge about contemporary policies and practices in crime and justice, and the development of skills needed for students to become more effective agents of change in their communities of practice. The Master of Arts program requires 30 credits of coursework with a minimum cumulative grade point average of 2.8. The 30 credits include 12 credits of core courses and 18 credits of electives. Students can customarily complete the degree in 3 semesters if enrolled full-time (5 semesters if enrolled part- time). All requirements for the Master of Arts degree must be completed within three years of the first matriculation in the criminal justice program. The required courses listed below help lay a foundation in criminal justice Issues, Policy and Research. The Masters Project Seminar is the capstone class for the M.A. Program. Students will complete a research paper as a requirement for the seminar. It is the responsibility of the student to complete all requirements for graduation by the scheduled dates listed below. Each student should consult with the graduate director of his or her program and with the Office of Academic Programs and Student Services with respect to the completion of the requirements for graduation. Conferral of degrees and diplomas occurs once a year at the annual spring commencement. Students who file the applications and complete all other requirements for the degree by the announced October or January dates will have a diploma dated for the respective month, although they will not receive it until the following spring. To provide proof that they have earned a degree before commencement, students may file a written request for a temporary certificate of completion with the Office of Academic Programs and Student Services. The school withholds diplomas from any student who is under financial obligation to the university. Commencement occurs annually in May. For more information, visit http://www.newark.rutgers.edu/commencement. Students will develop knowledge of criminal justice system operations and key debates in the field to become informed criminal justice policy analysts. This will be achieved through a comprehensive training encompassing the review of substantive approaches to the structure and change of criminal justice organizations as well as in-depth case studies centered on issues of management, resource allocation and innovation. Students will learn how to identify and measure crime and criminal justice policy problems using appropriate methodological and statistical techniques. They will also learn how to design appropriate targeted interventions to respond to these problems, and techniques of monitoring and evaluation to track the success of interventions. Students will deepen their sense of responsibility and commitment to the criminal justice field and the communities affected by criminal justice policies. They will do this by learning to bridge gaps between policy, research and theory, and to appreciate the social context of criminal justice policies and both their intended and unintended consequences. Students will develop the confidence and vision to become agents of change within criminal justice agencies, social service organizations, and communities impacted by criminal justice policies. This will be acquired through hands-on experience(s) working in the field, and learning ways to design and advocate for solutions to crime and criminal justice problems. The criminal justice doctoral program is designed to provide students with a command of criminological theory, research methods, and criminal justice policy; as well as in-depth knowledge in areas of specialization within criminology and/or criminal justice. The doctoral degree is awarded based on evidence that the candidate has achieved a high level of proficiency in independent scholarship and research. This is assessed through course grades, the comprehensive exam, the production of a publishable quality empirical paper, and successful defense of the dissertation. The doctoral program in criminal justice requires students to complete a minimum of 60 credits towards the degree, including 42 hours of coursework and 18 hours of dissertation research. All requirements for the Doctor of Philosophy should be completed within five (5) years, and must be completed within seven (7) years of the first matriculation in the criminal justice Ph.D. program. As part of their doctoral education, students are expected to regularly participate in professional development activities, including Professional Development Seminars, SCJ Colloquia, Distinguished Speaker Series, meeting with job candidates and attending their presentations, and attendance/presentation at professional conferences such as the American Society of Criminology Annual Meetings. A minimum of 60 credits for the doctorate. A minimum of 42 credits of coursework, including 7 required 3-credit courses (described below) and 21 hours of electives. A minimum of 18 credits in dissertation research taken toward the degree. Grades of a B or better in all required courses. A grade of less than a B in a required course indicates an academic deficiency. Any required course in which the student earns less than a B must be repeated until a B grade is earned. No more than 6 credits with a grade of C+ or lower are allowed in meeting the requirements for the degree; these cannot be in a required course. The overall GPA for coursework in the program must be a 3.2 or better. No credits from undergraduate courses may be used for the doctoral degree. Up to 40% of coursework, not research credits, may be transferred from other graduate degree-granting institutions. A full-time, one-year residency (9 credits per semester for the first two semesters) is required for the first year of the program. After the first year, students may enroll part or full time for the remainder of the program. Courses taken to satisfy the requirements for the master’s degree in Criminal Justice at Rutgers may, with approval, be counted toward the doctorate. Ph.D. students take seven required courses (21 credits). The required courses include a two-semester theory sequence (foundations and contemporary); a two-semester statistics sequence (introductory and intermediate), research methods, policy, and one additional advanced statistics or methods course. In addition to the required courses, students must complete seven elective courses (21 credits), for a total of 42 credits of coursework toward the degree. The additional elective coursework is to be distributed among the university’s offerings. Only graduate-level courses may be included. No more than12 credits may be earned at institutions other than Rutgers. Most coursework is expected to be taken in the School of Criminal Justice, augmented and enriched through the graduate offerings in other programs or units. 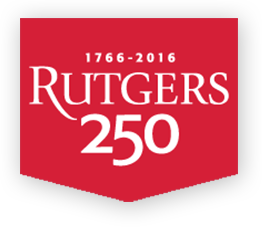 Students who wish to take credits within other academic units at Rutgers should seek approval from the Ph. Program Director, contact the department offering the course(s) to determine whether they accept students from other units. When possible, electives should be selected to create a concentration in one or more areas of study. Commencement occurs in May annually. For more information, visit http://www.newark.rutgers.edu/commencement. Graduates of the Ph.D. program in Criminal Justice will be prepared to make significant contributions to the understanding and study of crime and justice. Students will be prepared to pursue careers in academia as well as at other research organizations that focus on the study of crime and its impact on individuals, families, and communities. Graduates of the program will be prepared to conduct independent, original research and to produce high quality scholarship.